How simple is white? I stumbled upon this great idea on Craftberrybush.com. When using natural elements of the season such as pumpkins, dried flowers and chestnuts all tie together, but what really makes this work is the one uniting thing– it’s all white. Being able to leave the some natural elements helps make for a great simplified yet elegant statement. Modern outdoor lighting is a great way to add depth and visual interest to any landscape. The obvious function of having light is a helpful way in letting us enjoy those warmer nights longer. Using a taller lighting structure can help define a single area. These above futuristic lighting structures give a strong presence with fine detail that emits light in a unique way. Above is the work of Bruce Munro where he uses acrylic tubes containing optical fibers – fields and fields of them. The design is currently being showcased at the Eden Project in England. This is a unique way in turning a natural material into an amazing outdoor luminary. 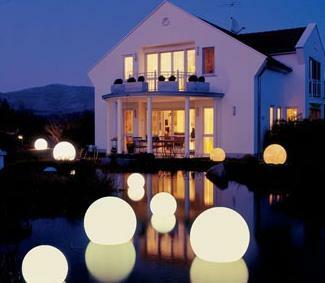 These outdoor lighting spheres set the stage for a great vista atop the water and landscape. Having the dynamic of light, sculpture and water all rolled into one can make for an impressive view. As founder of IDY Design Services I feel it is important to improve the quality of ones life through the positive use of design. We can apply the simple concepts of organization, function, aesthetics and a side of attitude to improve the quality of our lives. The way we think about our outdoor spaces and indoor spaces seems different, but in reality the same concepts can be applied. Why don’t you have some trimmed hedges in your living room? Although the grass pillow is a literal translation of bringing the indoors out it helps exemplify the way we can think about our spaces in a new way. The below pony planters are a modern way of displaying simple vegetation in a non-typical way. Who doesn’t love the warm cozy feel one gets around the holidays when the lights are lit up? Why not have that warmth of lighting year round? Strand lights are no longer just for the holidays. They are inexpensive and can be used in so many great ways. Using strand lights not only help with dim-lit lighting in the bedroom, but can become the focal point in place of your head board. 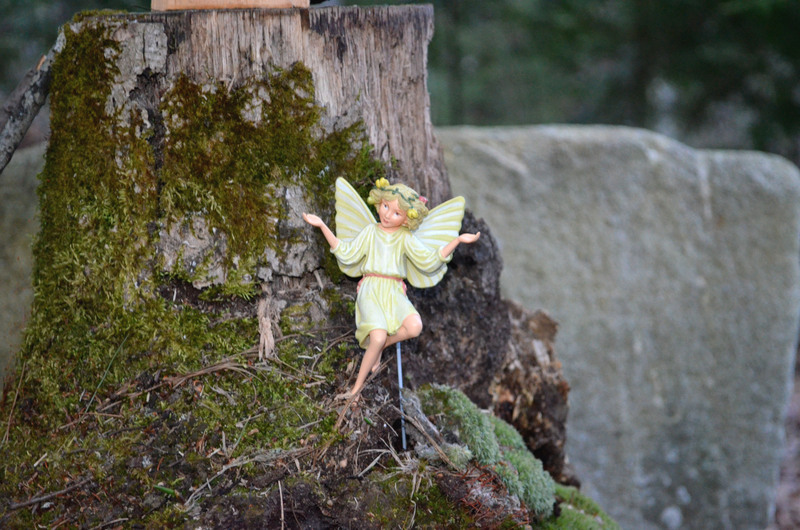 What is it about the fantasy and mythical idea of fairies or make believe that brings out our inner child? For anyone, at any age we can explore and create with the most available resource – nature. 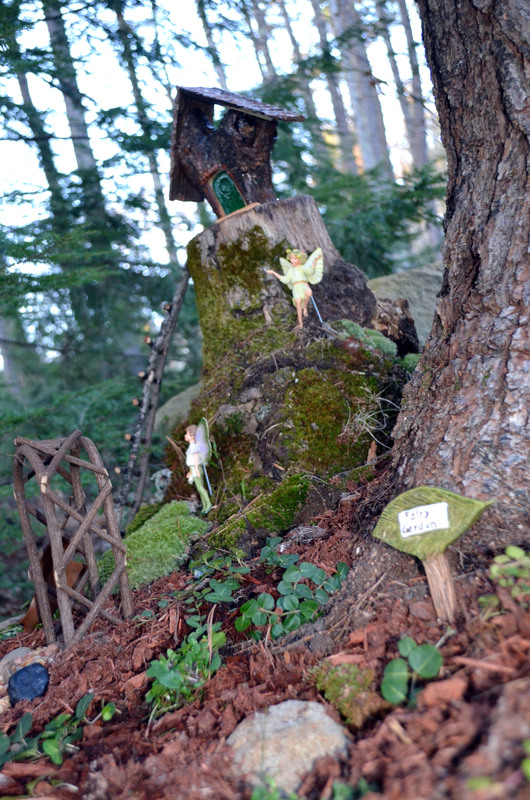 The beauty of creating your own fairy house is that there is no wrong way to create one. This particular site was cultivated from natural materials found right in the surrounding area. The more natural the materials the better the house can blend into it’s natural habitat. 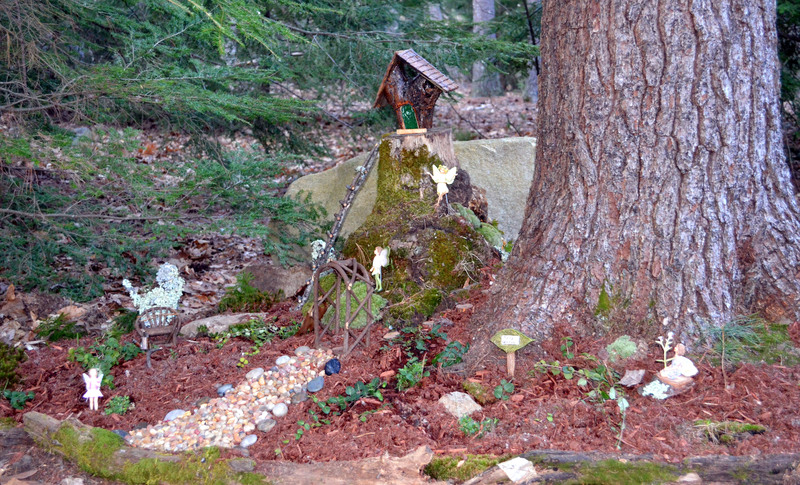 This fairy house was situated in the woods for a more believable setting, but you can also keep your houses in plain site for passer-byes. When thinking of ways to plant raised flower beds there are many unique ways to incorporate new ideas. I’m working to plant my first “raised-bed” vegetable garden this spring and was looking for planter ideas. 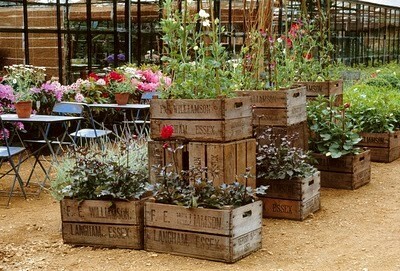 The wooden boxes are a nice find when helping sort your different veggies. This idea also helps with mobility as they are not too large to maneuver if need be.